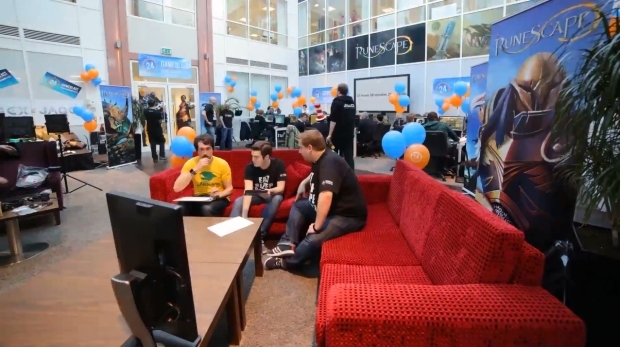 Jagex Games Studio, makers of the multi-award winning fantasy MMORPG, RuneScape, today revealed the results of their 24-hour long gaming marathon in support of SpecialEffect’s inaugural GameBlast weekend. The marathon, which witnessed 90,000 unique viewers over the course of the stream, saw staff and selected members of the RuneScape community play RuneScape and Ace of Spades throughout the 24 hour period, raising over £48,000 as a result. In addition to direct donations though the studio’s JustGiving page, the in-game Well of Goodwill re-opened for the weekend. The well allowed players to donate their in-game gold, items and RuneScape bonds to charity, which were then converted into a real world contribution on their behalf. In addition, 50 percent of all profits from the sales of Ace of Spades were also donated to SpecialEffect during the GameBlast weekend.